Have you ever gone to the beach and watched a guy strolling down the waters edge metal detector in hand. That guy is not just searching for pocket change. He is looking for and most likely finding buried treasure. For the purpose of this article we will focus on Beach and Water prospecting. Learn why Metal detecting can be enjoyed as a hobby by those of all ages. Its one of the only activities that can quickly pay for itself while providing the hobbyist with outdoor fun, adventure and exercise. Captain Daniel Berg has developed a handy ebook guide to help beach prospectors find more fun and valuables in and around the water. The 68 pages in the book cover anything a person needs to know to get started looking for treasures at beaches and at depth. It starts with descriptions of the various detectors’ features, explaining which are useful at different locations. He then suggests techniques that could improve the odds of returning from an outing with valuables instead of bottle caps and other junk. 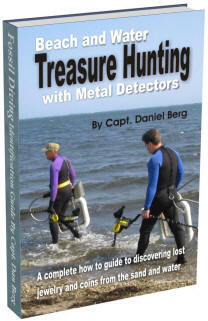 The book with the title of ‘Beach and Water Treasure Hunting with Metal Detectors‘ defines water and beach detecting into five distinct forms of treasure hunting. Please be aware that many of these types of detecting overlap. For example a beach hunter with a water proof detector will often venture into the shallow surf in search of gold rings and a scuba diver could certainly use his same detector on the dry beach. This article teaches the basics as well as tricks of the trade learned form years of detecting. These techniques make it easy and will greatly increase your productivity. 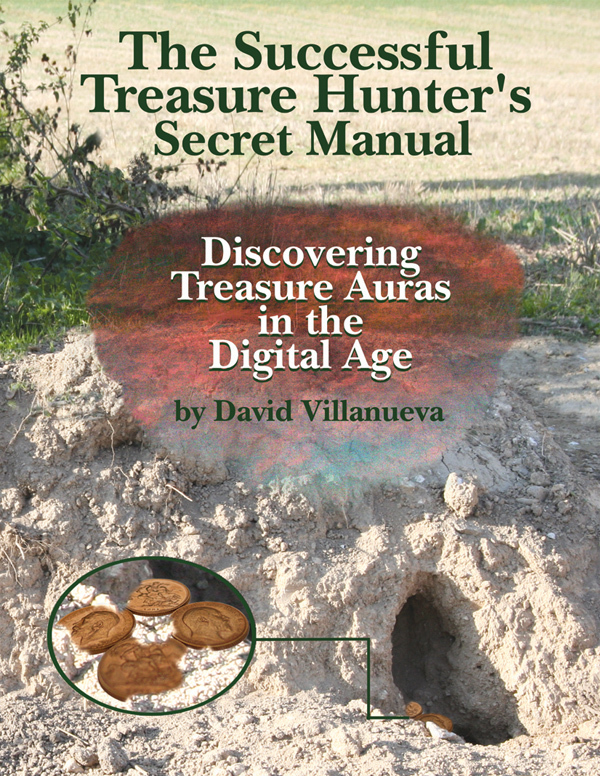 Anyone can discover lost gold and this book will show you how. 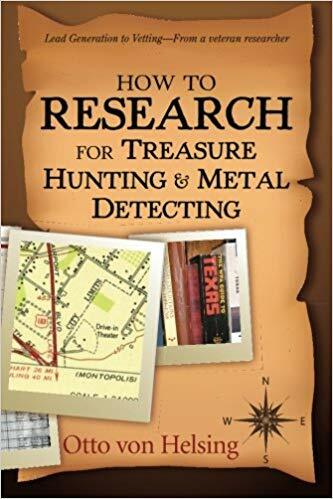 Part time treasure hunters have always found the beach to be a favorite location to do metal detecting whether they are novices or experts at the hobby. There are many reasons why but the main one is that beaches are always used by loads of people, particularly on weekends and during Summer holidays and their multiple activities there can often cause them to go careless with their valuables. Coins, rings and other valuables can easily get lost in the sand because they get buried in no time under all those piles the moment they are dropped, and a metal detector is the perfect search device to find them them with. Here is a video which illustrates how easy it is to find metallic objects on the beach using a metal detector. 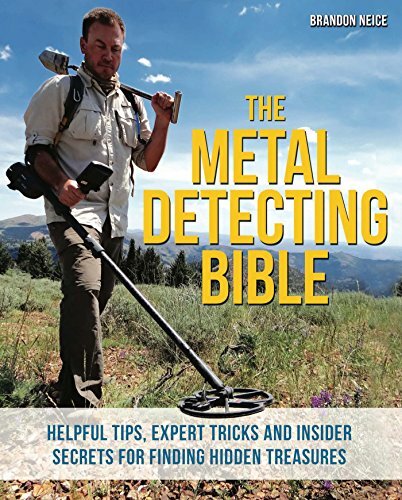 Also Amazon has a great selection of metal detector equipment for sale. Here are a few items that are worth checking out. This entry was posted in metal detecting, metal detectors, Uncategorized by jimk43. Bookmark the permalink.